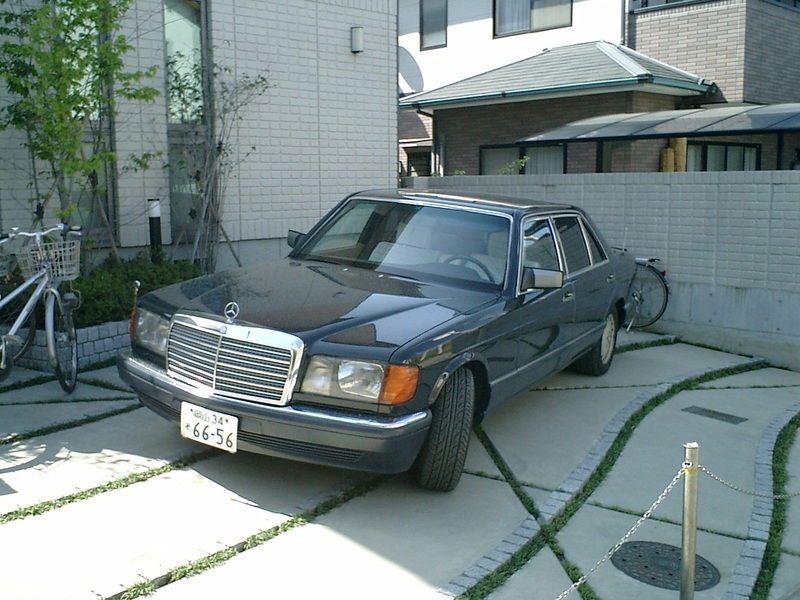 I have a 15 year old Mercedes-Benz 420SEL. As you know, this car is made in Germany, and it's the first time I have owned such an imported car. I thought every imported car didn't have enough of a support system in case of a breakdown and cost a lot. It's the reason why I didn't own a foreign automobile. However, lately I often see foreign cars running in the streets of this local city. To tell the truth, the former owner of this car is my English teacher who taught me how to pronounce English. He is over 70 and the best English teacher I've ever met. Besides, he is a good skier and showed me how to ski long ago. 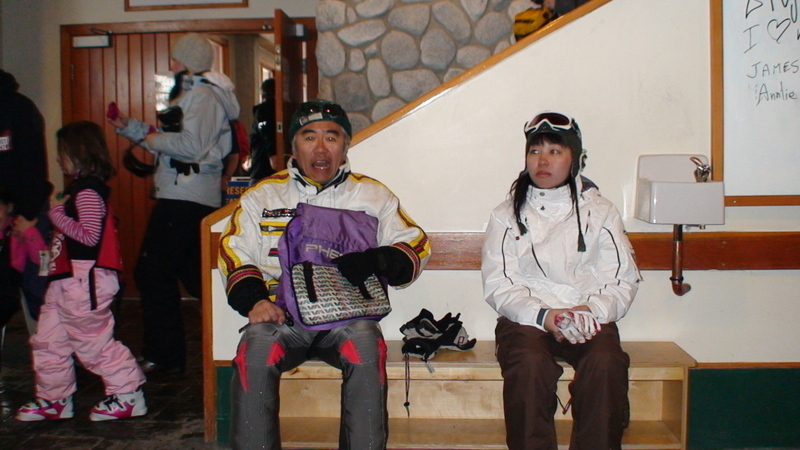 I went skiing in Canada with him last March. In Canada, sad to say, he was not good at skiing, because he had an eye problem. I heard he wanted to give up driving cars because of his eye problem. He has been giving good maintenance to this car and this car is well conditioned. I decided to buy this car. I am struggling to do the official procedure to change the ownership of the car now. Everytime I bought a car, I always asked someone else to do this procedure. Because I wanted to save money, I'm going to do it this time myself. Japanese news media says the families of Japanese abduction victims are going to meet U.S. President Bush shortly to put pressure on North Korea. This abduction was conducted by one nation, North Korea. The alleged mastermind is Kim Johg-il, the head of North Korea. I'm afraid that the solution of this simple problem won't come until the rogue nation collapses. This is an infringement of Japanese sovereignty by North Korea. I get frustrated because the Japanese government don't take a consistently firm line on the evil, North Korea. My hospital was open overnight for emergencies last night and all the staff were working around the clock. At midnight a gangster (we call them yakuza) called my hospital. Believe it or not, he wanted to cut off his left, little finger at the distal joint and then see a surgeon, if you please. I've no idea about his intention. I explained to him that no medical insurance covered self-inflicted injuries and he needed 60,000 yen for his treatment. I couldn't understand exactly what he was saying. It seemed that he had made a mistake and wanted to ask for permission from his boss or someone with cutting his own ring finger off. I've treated many cases of amputation of fingers of Yakuza. Those yakuzas used to cut their finger off without thinking of the after-care of fingers. I thought he was not a real gangster and just playing cool among his buddies. Anyway he didn't show up at my hospital. I attended the high school student annual boxing competition as a doctor. As you know, the specific power granted to the doctor is that he can stop the match. If I find anything bad in the boxer's body, I have the authority to stop the competition. In some situations this decision affects the future of the boxer. I had to stop the contest today. A boxer had serious nasal bleeding. Though the referee gave first aid to him in the ring, the nasal bleeding didn't stop. I couldn't help stoping the contest. If a doctor stops the contest it means a 3 month penalty. The boxer can't fight in a match for 3 months with the idea of protecting the students' health. His crying face was unforgettable. I hope he'll get strong and come back. I make it a rule to speak in English a couple of times a month. I joined the English speaking meeting last night. It was relatively cold. It must be getting warmer this time of the year. I go to work by car with my wife every morning. My wife usually goes back home by commuter train because our finish time is uncertain every day. However, because she had to get some necesities and food yesterday, she went back by car to drop in the shopping center on the way home. Consequently I had to use a commuter train. It takes 20 minutes' walk to the station. While I was walking, I felt like drinking some alcohol to warm myself. I have some regular drinking spots near the meeting place. I dropped in at the bar on exposure to the unseasonal cold. I got back at midnight, terribly cold with only a thin shirt. It follows that I caught a bad cold. Though the funeral service is usually performed by one or two priests, her burial rite was quite different from others. Because she was 95 and a wife of a Buddhist monk who went to heaven 10 years ago, the funeral service was gorgeous. More than 20 priests attended and intoned a sutra. They didn't need any microphones. Their voices were strong and loud. The sutra was echoing throughout the temple yard. I attended a wake for my Grandma who passed away yesterday. After I got off work, I threw on a dark suit really quickly and picked my wife up at her office. Her house is 1 hour and a half away from my office and it was about 8 o'clock in the evening by the time I got there. The Buddhist sutra had already finished. Many mourners were sitting around her body and chatting about her. In life, she was a great person. She married into the buddhist family when she was only 18. She had played an important background role at the buddhist temple for 70 years! I was happy to hear many stories when she was young from her neighbors. I heard about myself. The neighbors of the temple knew about my childhood. They know what I don't remember. I seemed to be a child full of mischief. She kicked the bucket suddenly this morning. I couldn't believe that news because I'd heard she was keeping fit lately. Three of six of her sons and daughters were away from home when she passed away. My parents are in Prague in the Czech Republic just now. I decided not to tell them about this after a great deal of thought. Even if I called them, they could never attend the funeral ceremony. There are no direct flights between Prague and Japan. If there were, it would take one day to get back to their home town. They are enjoying sightseeing and visiting some places related to Mozart. This is their long-expected tour. I asked the tour company that organized this tour to make them call me just after their arrival in Japan. I'm afraid they would be disappointed and get depressed to hear about her death. Rallying is one of my hobbies. When I was a university student, I was addicted to driving a car as fast as possible on the forest roads. I'd like to join the competition that is held overseas, for example the Southern Cross Rally in Australia or the Safari Rally in Kenya, but I couldn't because I was a medical student and had an incredibe amount of work to do, so I couldn't spare the time for it. Though I didn't drive a rally car lately, I enjoyed a rally as an official. Today, a rally was held by DCR, a motorsports club which I belong to. The rally area was in the center of Shikoku, the highest area of Shikoku. That's the reason why this rally is called the "Summit of Shikoku" rally. It was raining all day long. I was head of the rescue staff because I am a surgeon. I mean I was one of the executives. I was expecting to stay in the headquarters where all the information of the rally was gathered. I could have avoided the rain and mud there. However, I was asked to stand by at the starting point of some special stages that were thought to be the most dangerous. The course conditions were horrible. The road was muddy and slippery. Besides the course was on the cliff. As you can imagine, if an accident occurred, I had to zip to the scene and give some emergency care to the crews. I was so tired and wet to the skin. The photos show some rally cars that are waiting for inspection before starting. I got a new electric pot at 50% off. This is a new model of one of the major brands. I wrote a note about the previous pot here. This pot is completely different from that one. I'm addicted to coffee, and I can't live without any coffee. When I pour hot water into my cup, the hot water sometimes spatters out of the cup because the waterflow is so strong. Ground coffee beans scatter around the cup at that time. I had to pour the hot water in a cautious manner. To my surprise, the speed of discharge is controlled into a high and low speed. I have only to touch the button on it. There are plenty of other improvements. This pot has several temperature settings. I can choose the temperature I need when I make instant meals, coffee, Japanese tea, or milk for babies and so on. When I don't need boiling hot water, I can choose no vapor mode. 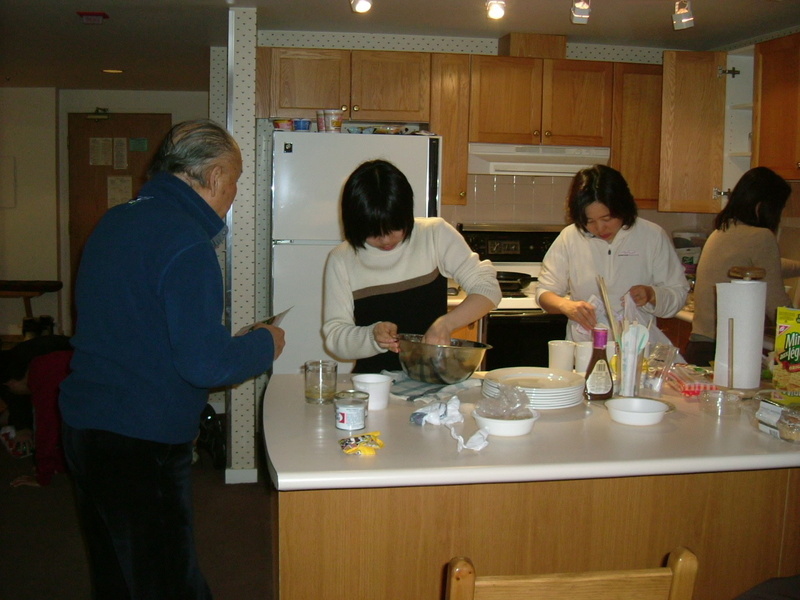 The structure of the pot is made to be easily washed. 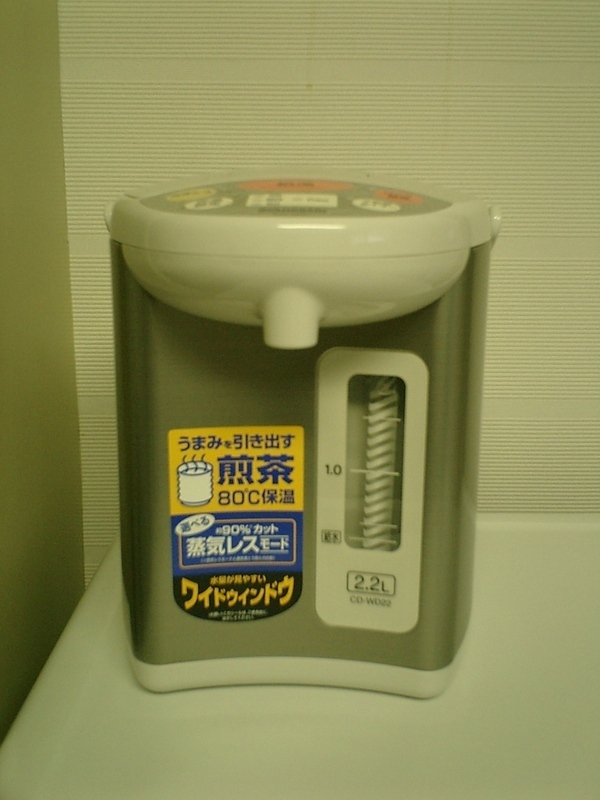 The water is sterilized by chlorine in Japan. We can drink the water directly from the faucet but the water sometimes smells of chlorine. This pot automatically removes the chlorine. It makes my coffee better. Wonderful! I have been to Canada about 8 times before now. Every time I visited Canada, I spent some money. When I checked the receipt for the first time in Canada, I found the word GST. Because there was not a consumption tax in Japan at that time, I couldn't understand GST. Though I wanted to ask what GST was, I didn't have enough English ablility to do so. 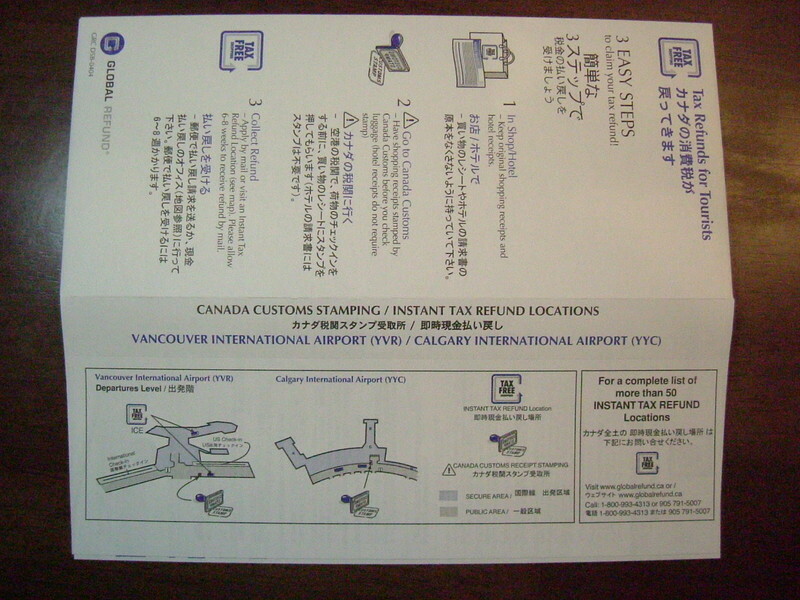 When the consumption tax was introduced in Japan, I could understand the GST of Canada. After the understanding of GST, I wondered why I have to pay the Canadian consumption tax. I was only a tourist and stayed only a couple of weeks. I asked a clerk at a gift shop about this matter. Though she explained how to refund the consumption tax, I couldn't actually do it. However, this year is not the usual year. I'm going to get a GST refund this time. It's because I found the leaflet as shown below. It's written in Japanese! I will satisfy my thirst for refunding soon. I looked into the bottom of my electric pot by chance. 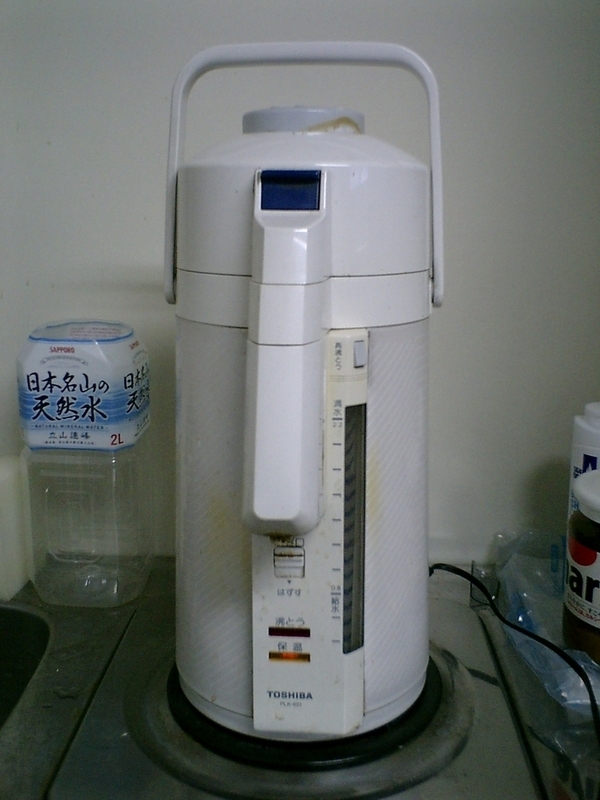 I have been drinking coffee or tea with this pot every day. This pot was provided by my hospital and looks so old. I think it's more than ten years old. I found the bottom of it so dirty. Sure I have never washed it for more than a year. I tried to clean it up this morning, but I couldn't remove something unclean. Something attached inside the pot must be an inpure substance or some minerals. No matter what it is, I don't want to drink from this pot. This month is shaping up to be a busy one, I guess. April is the commencement month in many fields in Japan. In schools and kindergardens a new year starts. In many companies people start working with newcomers. In my hospital there are newcomers as a helper, a physical therapist and a nurse. They started working on Apr. 1st. Because I returned to Japan from Canada on Apr. 3rd, it seemed like I was a newcomer. I visited their sections and said hello. I have to watch them not to make mistakes for a while. Besides, the review of the medical insurance system was done this spring by the Ministry of Health, Labor and Welfare (MHLW). A new system had started this April. I found lots of new paper forms on my desk and the staff assignment had completely changed. In Japan almost all hospitals are controlled by the MHLW with modifying medical insurance systems. The modification of this time is so heavy that we anticipate a 3% fall in revenue. We have to find out useful tactics in the management of my hospital. It's worthy of special mention that my dog expressed heavenly bliss at seeing us. It's reasonable because we suddenly disappeared from him and he never knew why we were out. Anyway, I'm so sleepy! Of course it must be due to jet lag. I picked up souvenirs for my co-workers out of my baggage and crashed out on my bed. We were going to get on the plane which left for Japan at 12:15. 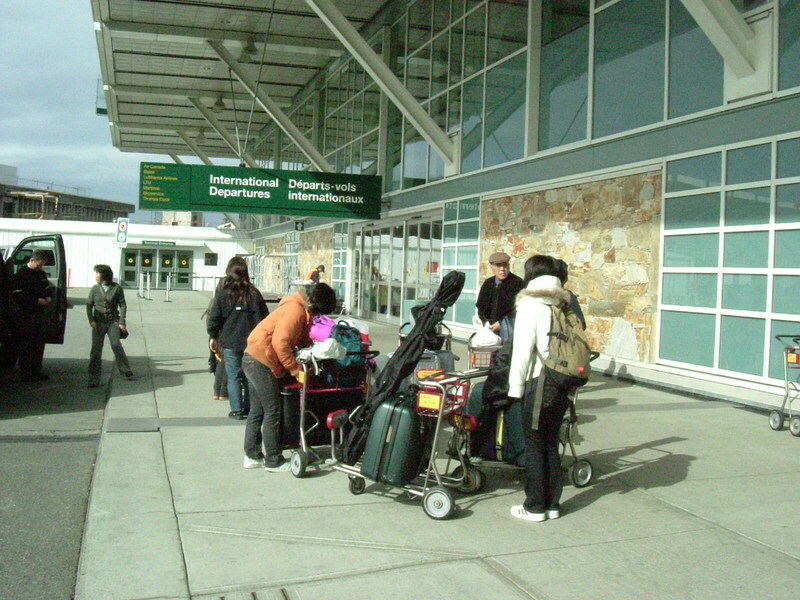 It takes about 2 hours from Whistler to Vancouver International Airport. We had a reservation from the transport service at 7:00. We asked the transport company to pick us up in front of our condo. A minivan arrived on time. 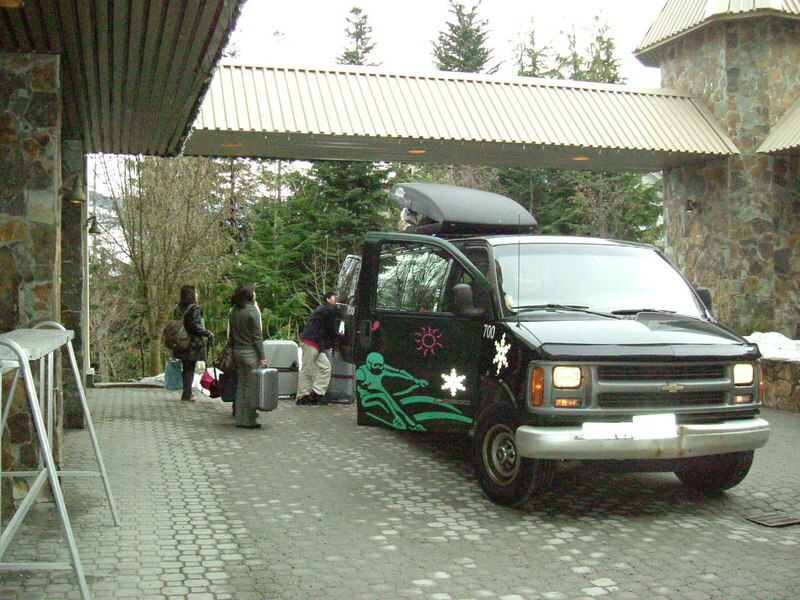 When the driver got out of the minivan, I asked him to show us around Squamish, which is located midway between Vancouver and Whistler, or drive around Stanley Park on the way to the airport, but he replied that we didn't have enough time to do so. I didn't know we were on Daylight Savings Time now. Our plane wouldn't leave at 12:15 as now the departure time had changed to 11:15. Consequently the boarding time was 10:25. We arrived at the airport at about 9 o'clock. The procedures of departure and a strict security check were waiting for us. I felt pressured. Actually the security check was stricter than before. I was very sorry not to be able to have enough time to enjoy shopping at the airport. Today was the last day in Whistler. Time flies when I am happy. I went up Blackcomb mountain until noon, and took a walk in the village and the forest in the afternoon. My youngest daughter, Annlie, wanted to join the ski school. I was so surprised to know that. She can't speak English very well. She certainly doesn't have a fearful bone in her body. 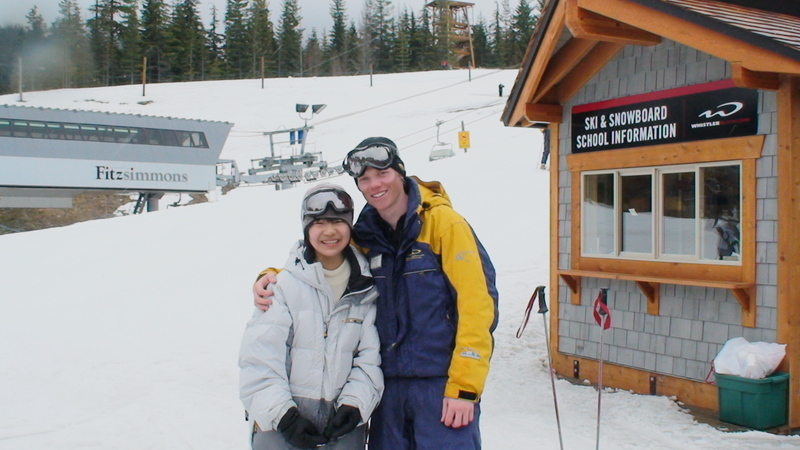 She must have thought the way of teaching skiing at the Whistler ski school was completely different from that of Japan. We sometimes came across the ski school group when we were skiing or were on the ski lift. They sometimes showed up from the woods or somewhere we didn't think was a skiing place. They were really enjoying the snow. The instructors were showing not only how to ski but also how enjoyable the snow was. After getting back from school, Annlie said that she wanted to go back next year and get into the school, and she would learn English more and more to make friends with English speaking people. After a gorgeous dinner and a jacuzzi, I started packing the bags. I had to get back down to earth. The weather was a blizzard on top of Blackcomb. I couldn't see the surface of the snow. I had to ski down looking at my feet. I felt a little scary. I went back sheepishly to my condo about noon. One of my buddies is a great breadmaker. My daughters are learning how to make bagels from him. I enjoyed taking a walk around the village or in the forest with snowshoes. At night I saw my daughters washing with an electric washing machine. I wondered why it was so noisy.